Built on the ethos that every boat is designed to help families enjoy boating to its fullest, the Four Winns family business has grown to be one of the world’s largest boat manufacturers. From the 150 Bowrider and the 180 Horizon, to the Sundowner 255 and the Vista 378, you’re bound to find your ideal boat here. 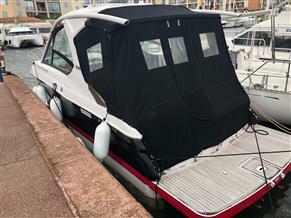 Take a look at our huge range of Four Winns boats for sale.